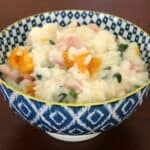 Our Thermomix Garlic Prawn Risotto is a firm favourite in our house! 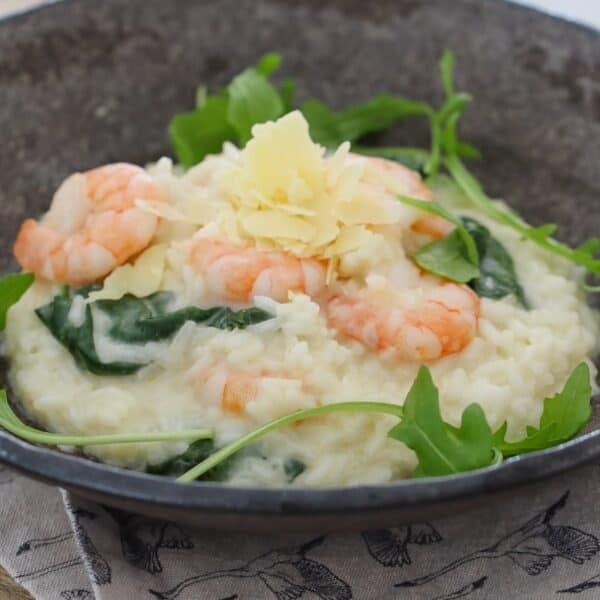 A rich creamy risotto, with fresh prawns, parmesan and baby spinach… YUM! 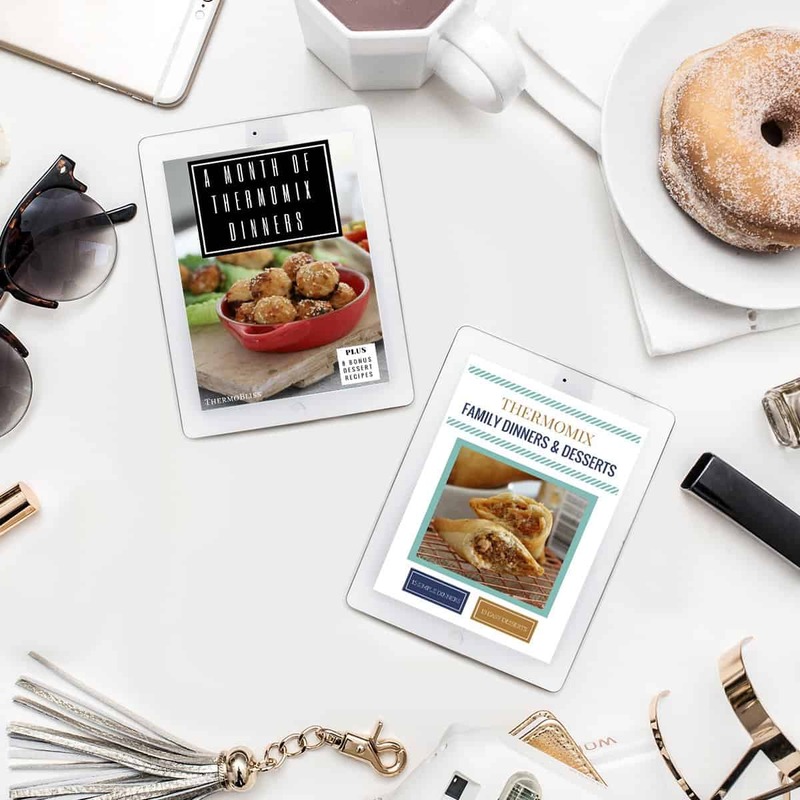 If you’ve been visiting ThermoBliss for a while, you’ll know that we’re massive fans of making risotto in the Thermomix. 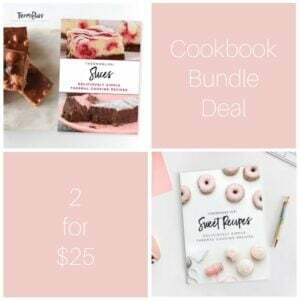 It’s quick, it’s easy and the results are oh-so-good! 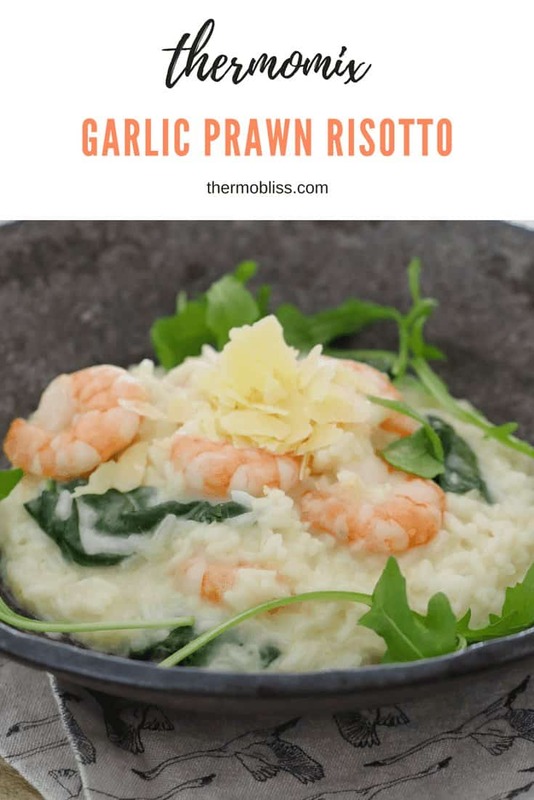 And our Thermomix Garlic Prawn Risotto is all of those things and so much more! 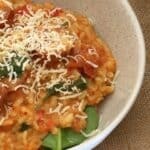 I like to stir baby spinach through my risotto at the end, but that step is entirely optional. 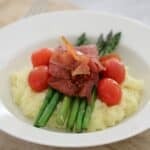 You can always substitute it for sun-dried tomatoes or even frozen peas. 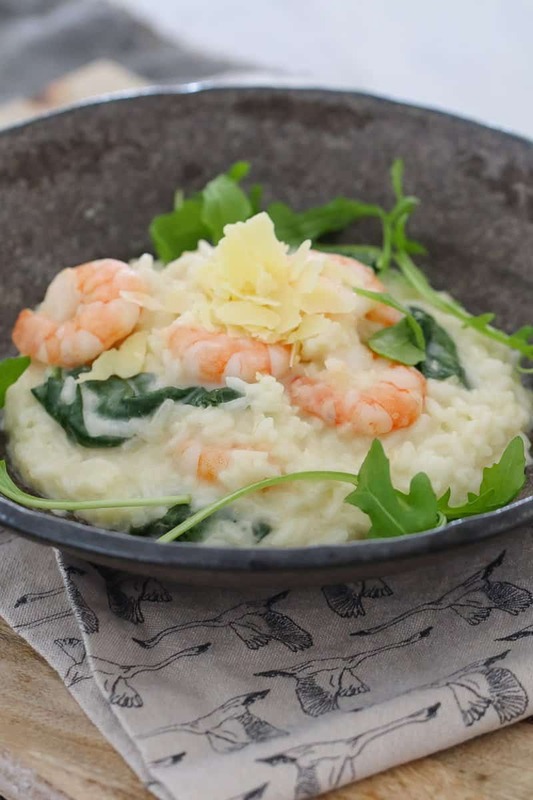 Our Garlic Prawn Risotto will easily feed 4 people, making it a great family dinner! 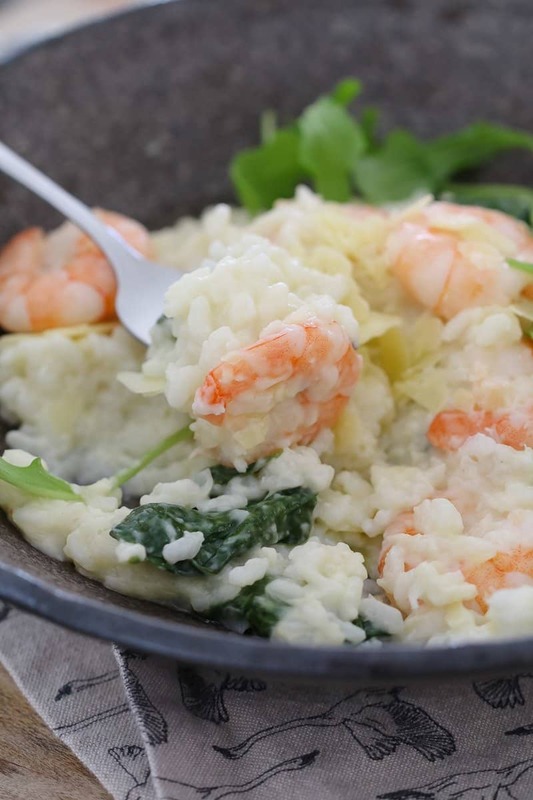 Our Thermomix Garlic Prawn Risotto is a firm favourite in our house! 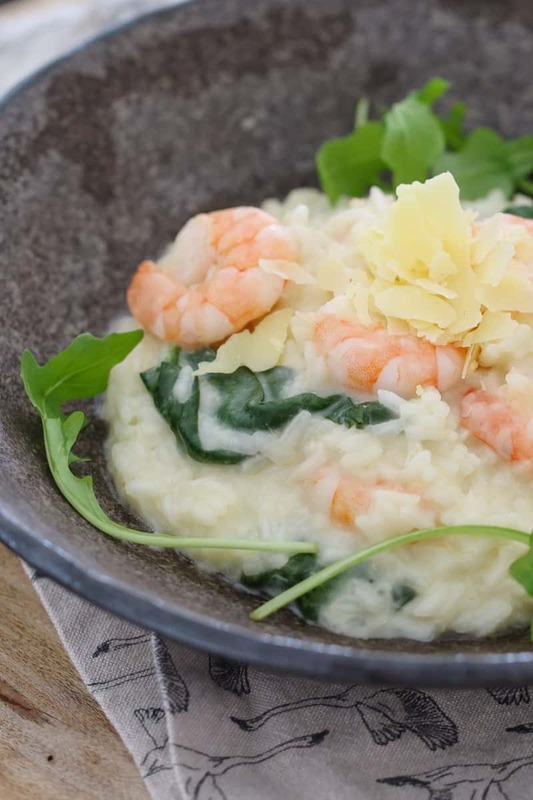 A rich creamy risotto, with fresh prawns, parmesan and baby spinach... YUM! Place the parmesan cheese into the Thermomix bowl. Grate on Speed 10, 10 seconds. 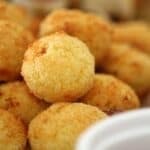 Set aside in a seperate bowl. Wash and dry the Thermomix bowl. Place the onion and garlic into the Thermomix bowl. Chop on Speed 5, 3 seconds. Add the butter and olive oil. Saute 3 minutes, Varoma, Speed 1. 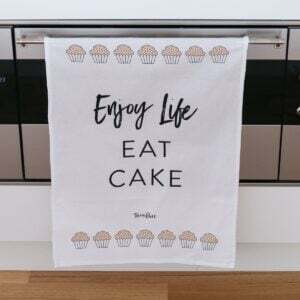 Insert the butterfly whisk. Add the risotto rice and saute for 1 minute, Varoma, Reverse, Speed 1 (MC off). Add the white wine and saute for a further 2 minutes, Varoma, Reverse, Speed 1 (MC off). Scrape the bottom of the bowl. Add the vegetable stock and water and cook for 13 minutes, 100 degrees, Reverse, Speed 1. Add the prawns and cooking cream and cook for a further 3 minutes, Varoma, Reverse, Speed 1 (MC off). Add the baby spinach leaves to the ThermoServer and pour over the risotto. Stir through the parmesan cheese and allow to rest for 10 minutes (to thicken). Step 4 says to add the rice and sauce…what is the sauce. Hi Deb, sorry that was a typo! It should have read ‘saute’ not ‘sauce’!! Wow Lucy thank you, thats was awesome! It was the 4th prawn risotto I made and simply the better one! I added some green onion at step 7 and some black pepper and fried rosemary at step 8. Greetings from Brazil! Awesome… Family very happy. I did add 500ml of vegetable stock and only 220ml water for a bit more flavour. Could you substitute chicken for the prawns? How much and cooking times? This is a firm favourite in our house. I think it gets cooked weekly.